Mustafa Santiago Ali is a co-host of Hip Hop Caucus’ “Think 100% – The Coolest Show on Climate Change” and former Senior Vice President of Climate, Environmental Justice & Community Revitalization for the Hip Hop Caucus. Mustafa is renowned as a National Speaker, Trainer and Facilitator specializing in Social Justice issues focused on revitalizing our most vulnerable communities. Throughout his career, Mr. Ali has conducted over 1,000 presentations across the country, including speeches, guest lecturers and trainings. He has also worked with over 500 domestic and international communities to secure environmental, health and economic justice. Mustafa Ali was a Brookings Institution Congressional Fellow in the Office of Congressman John Conyers from 2007 through 2008. His portfolio as a Legislative Assistant focused on Foreign Policy in Africa and South America, Homeland Security, Health Care, Veterans Affairs, Appropriations and Environmental Justice. He has also been a guest lecturer at Yale University, George Washington University, Georgetown University, Spelman College, Albany Law School and Howard University School of Law. 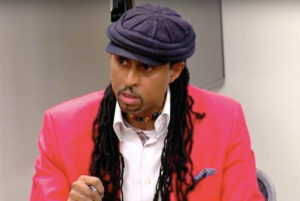 Mustafa is a former instructor at West Virginia University and Stanford University in Washington, and the former co-host of the “Spirit in Action” radio show which focused on social justice issues. Mustafa Santiago Ali joined the National Wildlife Federation as Vice President in February 2019.